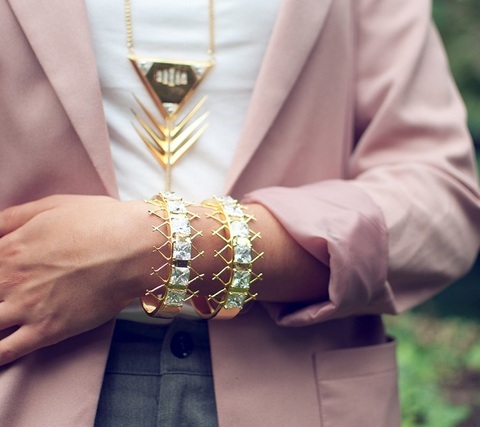 I love discovering new brands, which is why I was beyond excited to come across my latest jewelry find, Leuer. 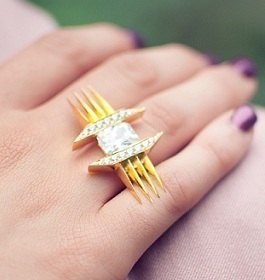 The genius behind these gorgeous designs is Ashely D., the designer and owner of this cutting edge collection. The brand, which just launched, has eight show stopping pieces that encompass their impressive first collection. The edgy designs are Egyptian inspired and uniquely brilliant in every way. The most exciting part about my Leuer discovery is that they already have plans to expand into a full lifestyle brand by spring/summer including swimwear and even shoes! Yes please! I urge you to indulge in her mesmerizing designs and be sure to stop by Monday to enter my very first giveaway! In the meantime dive into ShopLeuer.com to discover more of their posh designs. Which piece is your favorite? Something Extra: Check out these gorgeous Leuer pieces available online now. If you're crushing on the earrings stop by their website, ShopLeure.com to purchase them and use the coupon code "fashboulevard" to get $35 dollars off the purchase! I like the ring~ real cute! Great pieces. I love finding new designers. The necklace is amazing. Oooo, I like these. I'm excited to see what they come up with next. Thanks for sharing. Oh thank you for your comment. Happily I found your blog... it's great! I'll follow you - follow me back?! can't wait to see those bracelets...not up on her site yet! gorge! Those first two necklaces are so beautiful, love them! I'm just stopping by new blogs today and thought id say hello. We should be receiving some snow today in the Lancaster Pennsylvania area which will be the first time since 1972 that it has snowed this early in fall. Richard from the Amish community of Lebanon Pennsylvania. great pieces!!!! So beautiful! I like VERY much what you did with your blog!! The layout is nicer, really great(I also changed the header on mine!). Enjoy your weekend, my dear!!! That bracelet is incredible. Very unique. They should have got you to model the stuff. It feels very from a different country. 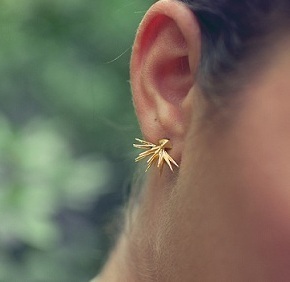 Interesting jewelry! I like the bracelets in the first picture. I love the jewelry! Those are some stunning pieces! Of course I always love unique bold jewelry! Thanks for sharing these...Now I'm going to be on the lookout for something similar! Beautiful pieces. Can't wait to see what they have in store. The necklace is a bit much for me, but I love the earrings and bracelet. Thanks for sharing. I hope ur having a fab weekend. Love love love! So rocker chic and edgy! Hey there! Thanks for dropping by my blog! I bought my Chanel e/w flap in a department store called Holt Renfrew in Canada this year in May! And yes, the SA told me that they discontinued it, so whatever was in the store were the last ones! It seems weird that the Chanel boutique u called didn't know what u were talking about though, but I think it has another name - the Baguette I think! You might wanna try to refer to that name :) Good luck on finding it! Just curious - what colour are u looking for? Btw - I love your blog! It's awesome! Love your blog! So fab!